Godaften sweeties. 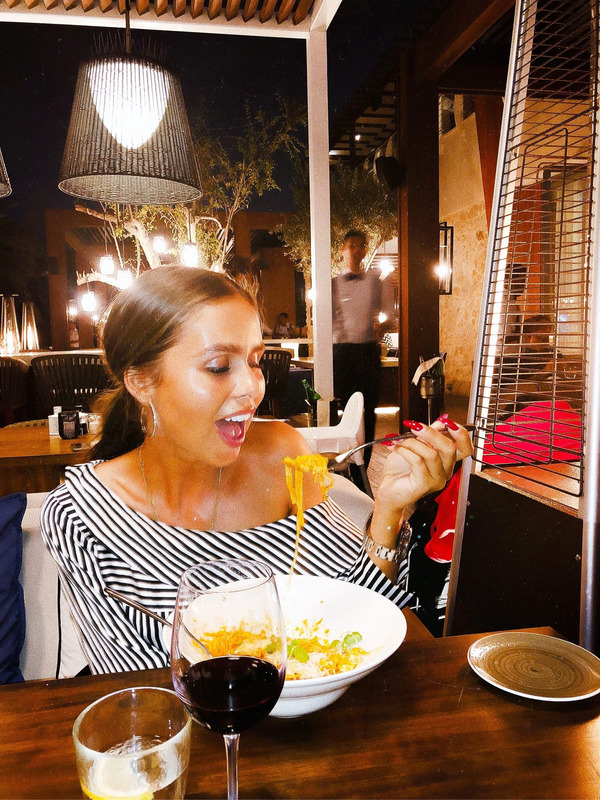 Jeg tænkte, at jeg lige ville dele et par billeder med jer fra igår aftes, hvor vi endte på en italiensk restaurant tæt ved Jumeirah beach. Jeg har hoppet i et casual outfit bestående af et par lyse jeans og min nye stribet bluse fra Gina Tricot. Er den ikke fin? Jeg er helt vild med den! Lige nu kan I faktisk købe blusen på udsalg. Find den HER. Må I have en dejlig aften! Good evening, sweeties. I just want to share some pictures with you from last night, where we went out for some italian food. 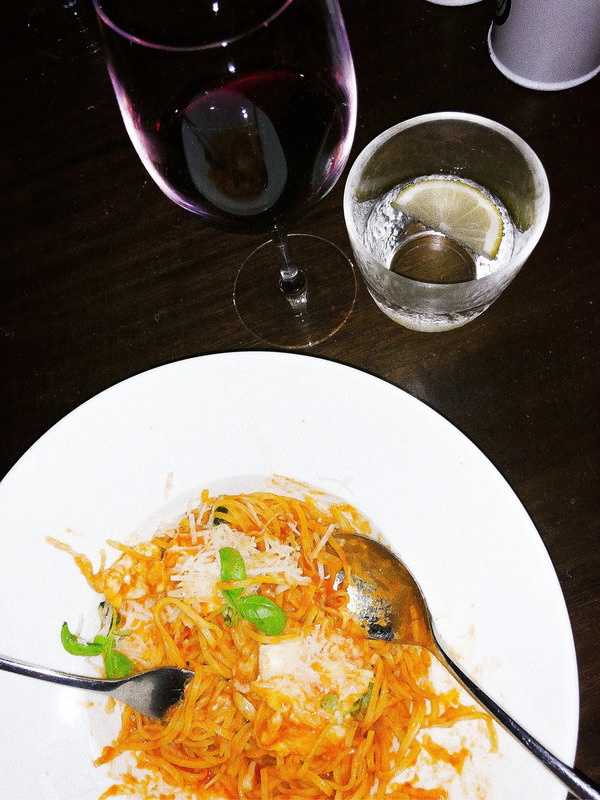 We ate at a nice restaurant near Jumeirah beach where we got some delicious pasta dishes. 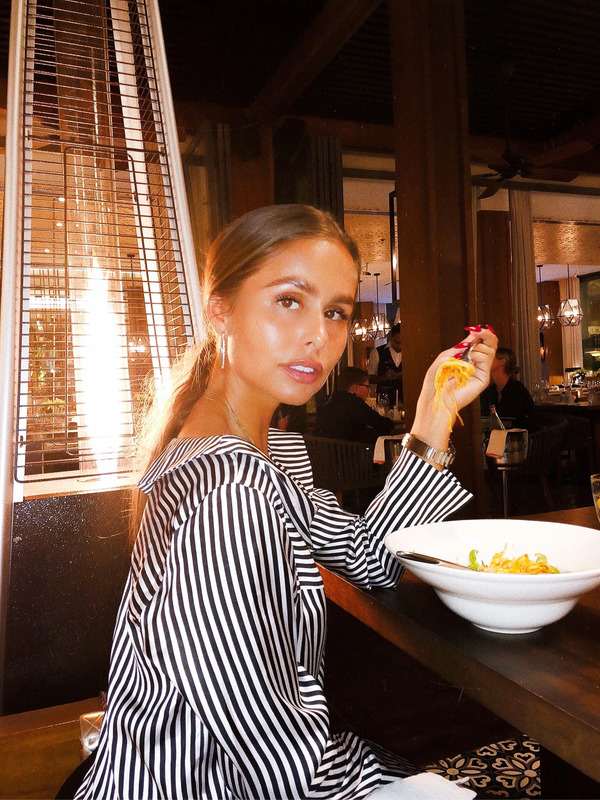 I was wearing a very casual outfit with some blue jeans and my new striped shirt from Gina Tricot. Isn't it pretty? I really like it. Actually you can right now get the shirt on sale. Go find the shirt HERE. Enjoy your evening!